Did you know that most collection lawsuits can be defended by using evidentiary objections? 1. ABC Generic Collections, Inc. is properly licensed in the State of Washington to collect debts. 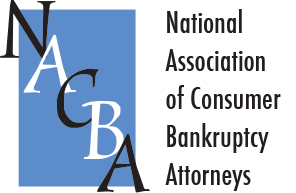 ABC purchased the debt from the original creditor Bigbadbank, NA and therefore has standing to collect upon the debt. Unless the lawsuit is accompanied by a purchase and sale agreement, assignment, or some other document to show the transfer of the debt, this is just an unfounded statement. In your answer, you would want to deny that ABC has been assigned the debt and point out that the creditor has not attached any evidence to support this allegation. If the creditor has the actual document, then they will need to produce the document. If not, there is a good chance the judge will dismiss the case. When reviewing a collection claim, be sure to object to everything that is logical to object to and let the judge sort it out. However, do not object to everything blindly (such as claiming you are not married if you are or that you live at a certain address if you do). The typical allegations that you will want to object to in a collection claim are: 1) assignment of the debt to the present creditor, 2) that the amount of the debt is correct, 3) that you owe this debt, 3) that service of the complaint upon you was proper. Defending a collection using evidentiary objections can be a successful strategy if used properly.